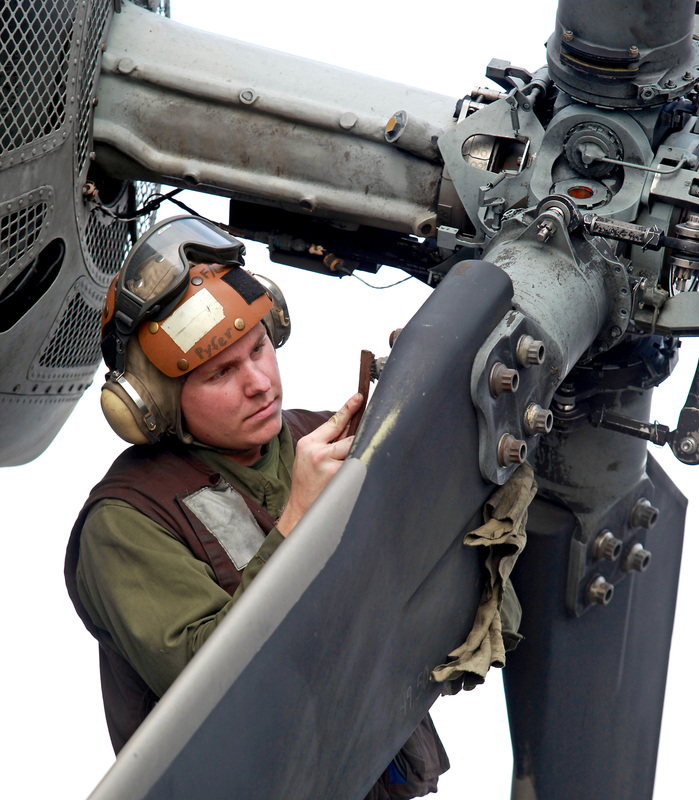 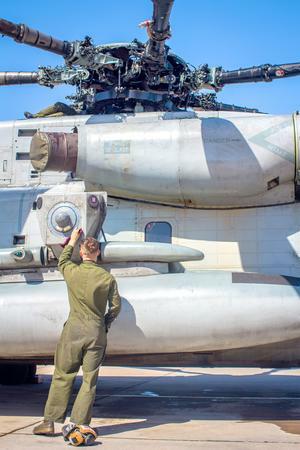 The CH-53E uses the CH-53D Improved Rotor Blades However, 3-foot blade extenders are fitted on the CH-53E main rotor head. 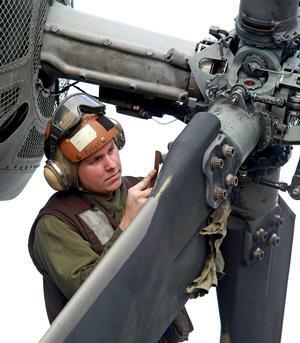 The increase of main rotor diameter and the addition of a third engine aft of the main gearbox had a problematic impact on the aircraft's center of gravity. 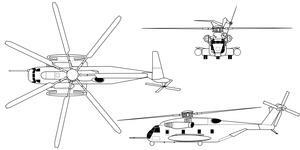 To offset this, the tail rotor diameter was increased. 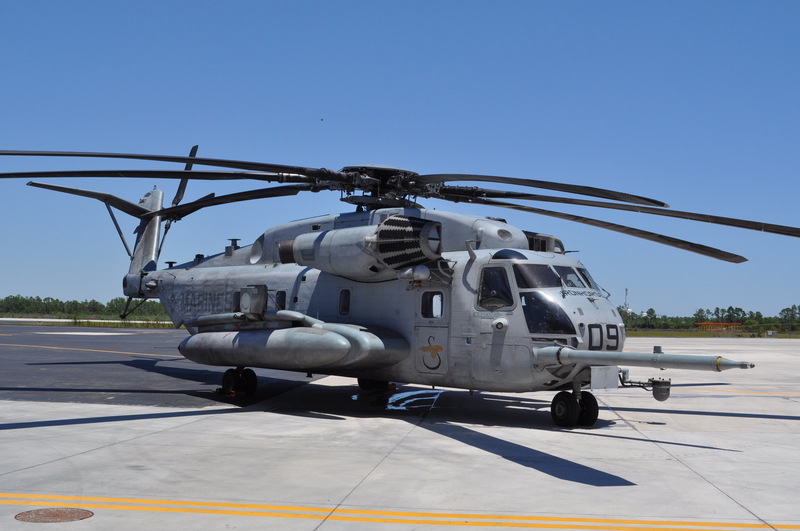 The vertical stabilizer was also canted 20° to the left, allowing the tail rotor to generate an extra 2,000 lbs of lift. 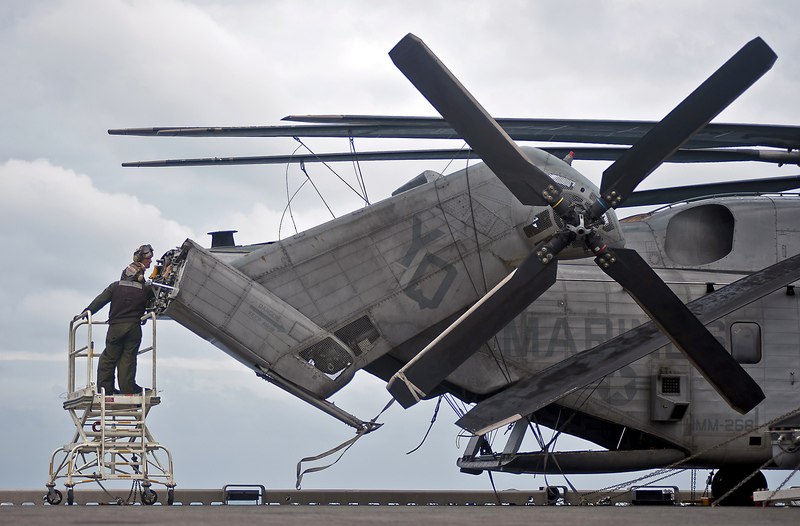 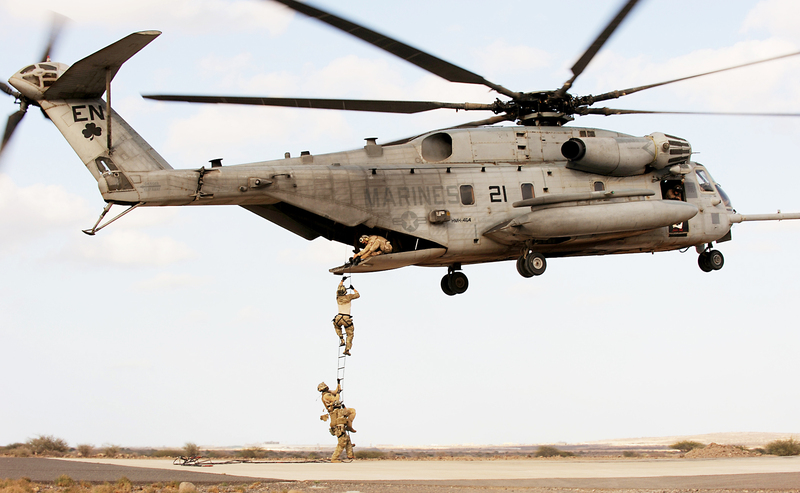 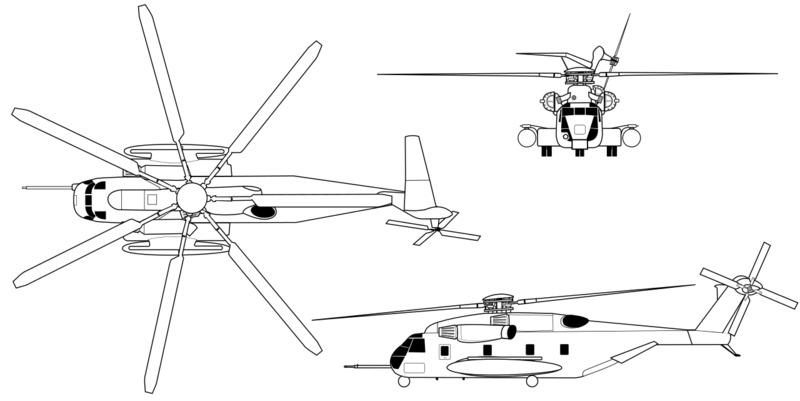 Resources related to the CH-53E (S-65E) Super Stallion, provided by the Vertical Flight Society. 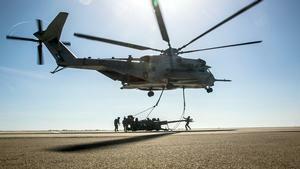 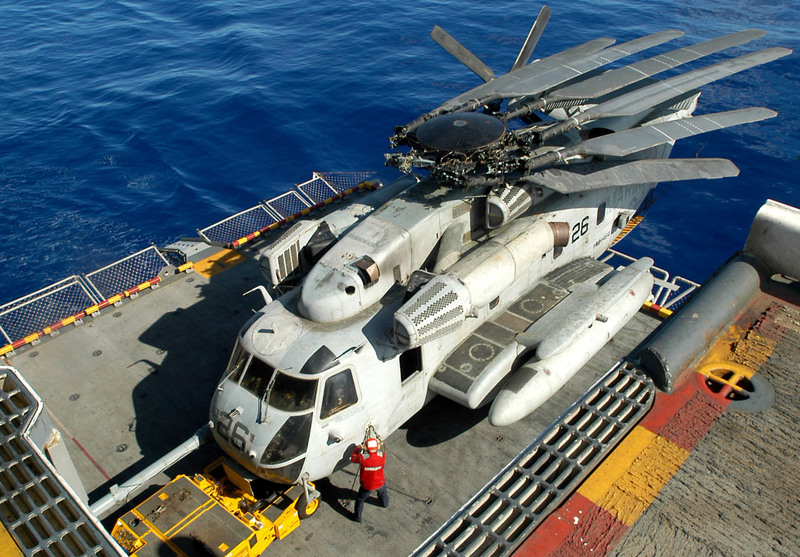 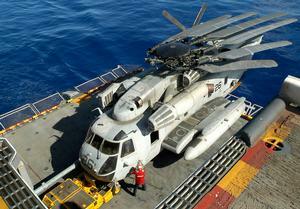 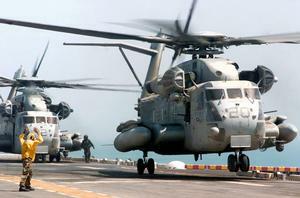 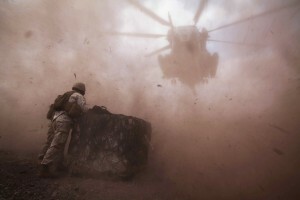 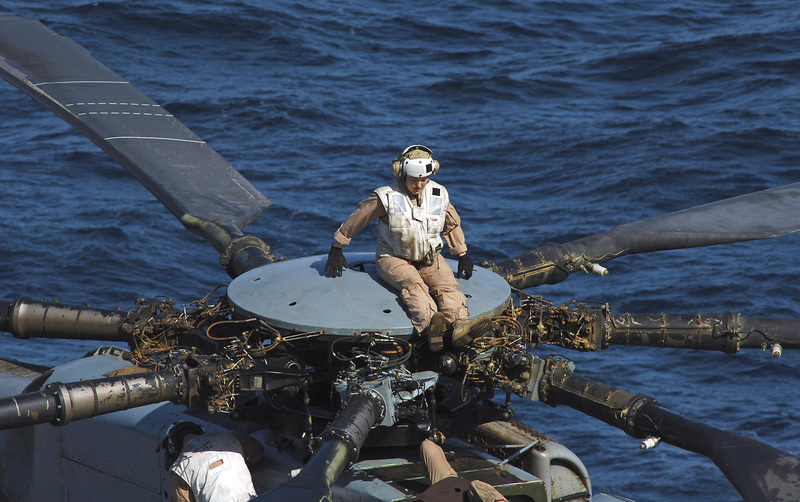 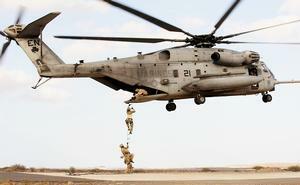 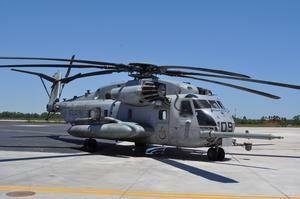 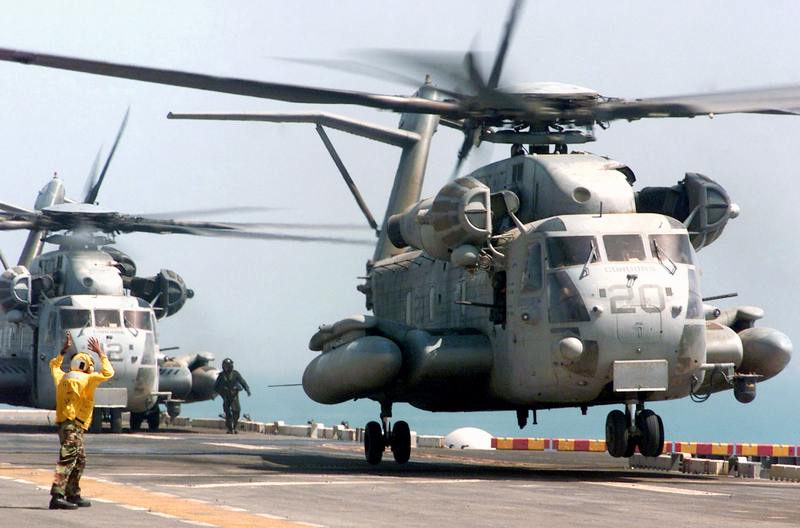 Resources related to the CH-53E (S-65E) Super Stallion, provided by public sources across the internet.